Remember 'JJ' from the very funny Goodtimes TV show from the '80s? Well, JJ is back at the Orinda Theater, Orinda, CA. 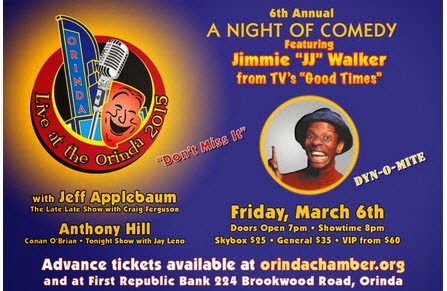 Get tix at OrindaChamber.com ($#35) also featuring comedians Jeff Applebaum and anthony Hill.